What is a Spacecraft ? A Spacecraft is a big ship in space which can not land on planets and have 20-50 passengers,guest or crew. The difference between a spacecraft and a private spaceship like Sleipnir or Quad-Wing is aswell that a Spacecraft is able to use a Warp-drive to go within 2 minutes on this point on the space map where it like to go. The spacecraft have theese days in cause of the materials used to craft the warp drives sadly a high Markup. A Warp-Jump cost included markup 15 ped or more. The Deed-owner of the Mothership can Beam-up (“summon”) the crew or passengers directly from the planet to the ship, as long the ship is docked on the Spacestation of the planet. 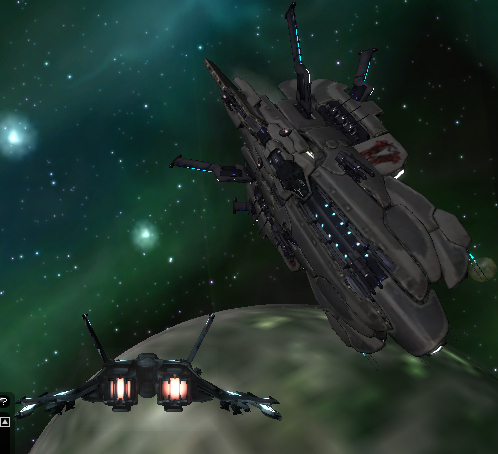 There exist currently 2 different Spacecrafts a Mothership and a Privateer. and is compared to a Mothership pretty slow. All other functions are compareable to a Mothership. 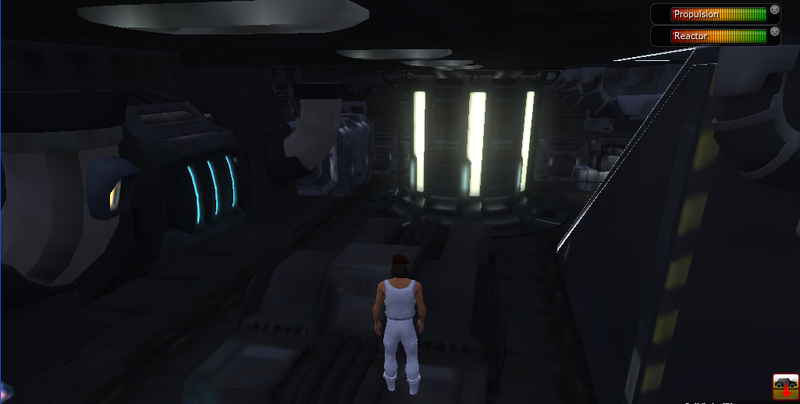 To enter or leave the Privateer is the only way to use the Teleporter, here for the ship must be docked on a Spacestation. 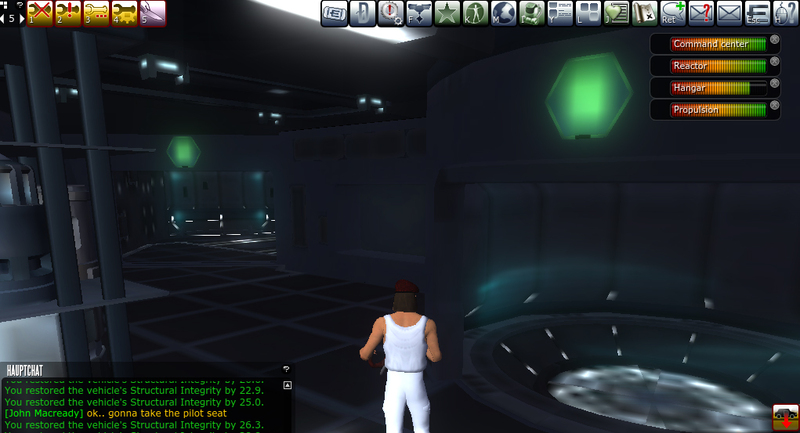 and from the Hangar-Bay can be started Spaceships who can directly start to space. So its possible that people can leave and enter where ever the Mothership is, if its docked to use the Teleporter or undocked , enter by docking with a Spaceship. 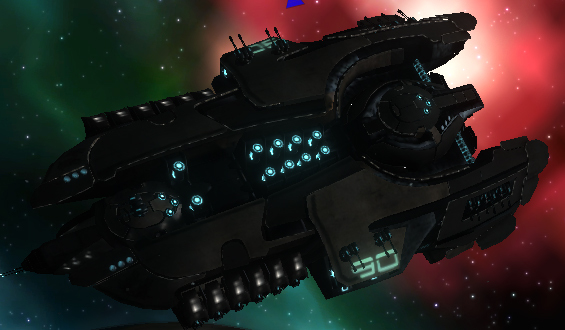 Spacecrafts are used aswell for the famous “Space – Repair – Skilling”.